Confidentiality: Every interpreter agrees to respect the confidentiality of any conversation they interpret. Any and all information passed on as an interpreter must remain strictly confidential. It will not be communicated, published or shared in any form with any individual or organization who has not contracted the interpreter's professional services. Accuracy and Completeness: To the best of his or her ability, every Interpreter will execute a complete and accurate interpretation, not omitting or changing anything discussed in the course of the communication. He or she will not add anything to what is being discussed, or provide any explanation without a specific request from the contracting party. Impartiality: No Interpreter will say anything at any time that might suggest his or personal viewpoint or bias regarding the subject at hand. At no time will his or her personal opinions be allowed to interfere with any communication, and any unsolicited comments or suggestions must be made strictly to improve the quality of communication. Conflict of Interest: Before beginning his or her duties, every Interpreter will disclose any actual or potential conflict of interest. He or she will never benefit personally from any information gained while interpreting, including but not limited to financial gain. Disqualification and Impediments: The Interpreter shall always accept full professional responsibility for the quality of any and all interpreting duties. Any reservations or concerns about his or her ability to complete every assignment successfully must be communicated at the earliest opportunity, and he or she will decline to accept any assignment which may be beyond his or her linguistic skill or technical knowledge. Accreditation: Every Interpreter will only interpret in the language or languages for which he or she has been certified and authorized to interpret by . 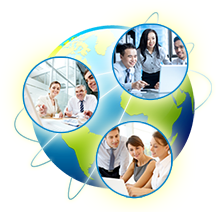 Professional Courtesy: Every Interpreter is also a customer service representative of . At all times he or she will maintain a very professional and courteous demeanor, using only the most appropriate tone of voice and bearing. Any special client instructions will be followed as completely as possible. Professional Development: Interpreters are responsible for upgrading his or her professional expertise and skills at every opportunity. Activities undertaken to continually maintain and improve their abilities may include professional training, continuing education classes, and participating in peer improvement activities. Every Interpreter should consider it part of their job to meet or exceed all standards and practices directly related to his or her professional duties. Highest Standards of Conduct: Every Interpreter will always and in every instance conduct him or herself in accordance with the highest standards of behavior and manner expected of a professional telephone interpreter. * OMH CLAS standards, HIPAA, NCQA and The Joint Commission accreditation standards.